Hear British pop played by Auckland music masters. Miguel Fuentes - Master Percussionist. Born in Puerto Rico, formerly from New York, international recording artist Miguel has recorded and toured with: George Benson, Patti La Belle, Grover Washington Jr, Peter Allen, Nathan Haines. Currently, resides in NZ. Tui Award winning Producer/Recording Engineer and father of uber talented sons Cody and Ruban. 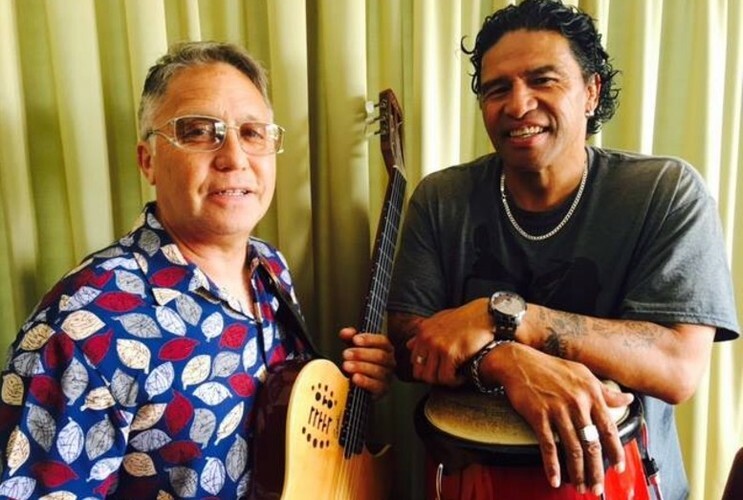 Recently toured the USA and Europe as arranger/musician with Katchafire, House Of Shem. Denis Hepi - Vocal protege of the late Mark Murphy (Stanford Uni. Cali. Jazz Workshop). Plays a Godin Multiac Nylon string guitar in accompaniment.Influences: Beatles and UK 60s artists from my Scots mother and Sam Cooke, Stevie Wonder from my Maori father and the early 70s Glen Innes Ak Funk of James Brown, Sly Stone, Donny Hathaway and Marvin Gaye.